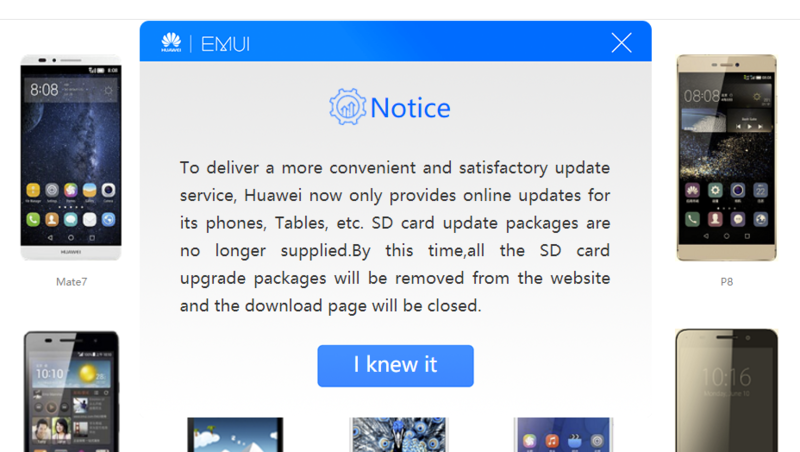 To deliver a more convenient and satisfactory update service, Huawei now only provides online updates for its phones, Tables, etc. SD card update packages are no longer supplied.By this time,all the SD card upgrade packages will be removed from the website and the download page will be closed. The motivation behind this move escapes us. Maybe Huawei is planning on moving away from EMUI, or maybe they want to move the downloads to another venue. Who knows? They might have even just gotten tired of paying for the bandwidth. But either way, the downloads are gone. If you click past the warning, true to its word, all links to download builds have been taken down from the site. All 34 phones now point to empty pages. We've got our own opinions about EMUI here at AP. But, like it or hate it, if you need those images, you'll have to look elsewhere.